Designed with all the functions & features needed for an integrated predictive maintenance schedule.
" Buildings: construction defects & insulation efficiency. 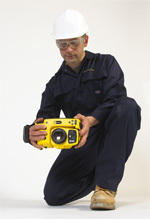 The Visir640 is ergonomically designed being dust & water resistant. 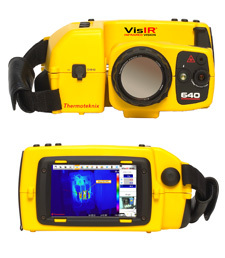 The articulate lens/display of the Visir640 allows the camera to be used all day without stress to the neck or wrist, whether imaging building roofs or floor level ports.